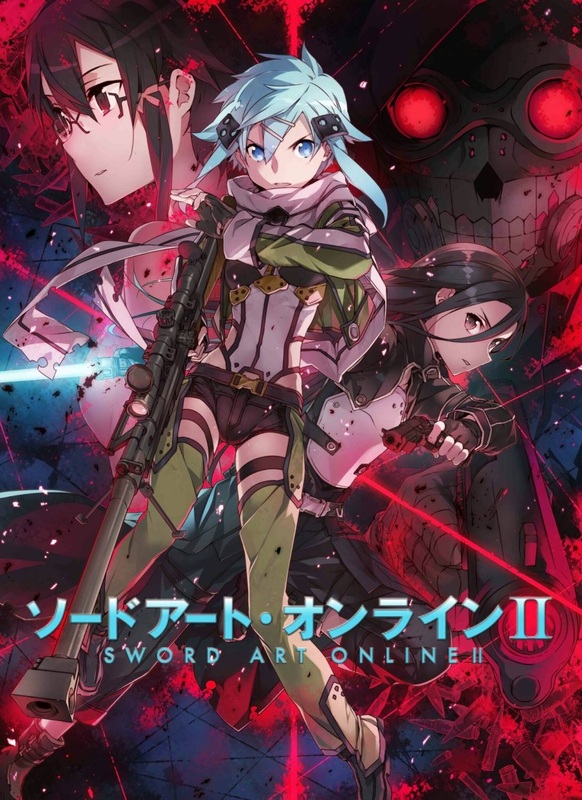 Sword Art Online II is the sequel in the hit series Sword art online, you can read my review for the first season here. This season originally aired from July to December of 2014. This season continues on a year after the SAO incident. The seed has grown and now there is an infinite amount of interconnected VR games. It is around this time, during an online in-game panel where a competing contestant in Gun Gale Online’s Bullet of Bullets is bizarrely disconnected. Rumor has it that he has been murdered by the mysterious figure known only as Death Gun. Due to his past experience within the VR system and his involvement with the completion of SAO it is not long until Kazuto is approached by an official assigned to the case, Kazuto must take the role of Kirito once again in order to investigate what is really happening in GGO. My Review: If you read my review for the first season of SAO then you might know that I am a pretty big fan, so it should come as no surprise that I was pretty excited to watch this. But does it meet the same level as the first season? Well for the first half (set on GGO) I thought the show was really great, introducing new characters with interesting dynamics and a whole new setting. Unfortunately, my opinion on the second half differs a bit, I did like how for the most part the focus was on Asuna, building upon her backstory and giving us a new perspective on her, however, I just found the whole arc to be somewhat lackluster, and don’t even get me started of the Excalibur arc. Although I did think that the ending was very touching. All in all not a bad continuation but It could have been better.